Welcome to the website of Fosco Army-Paint! 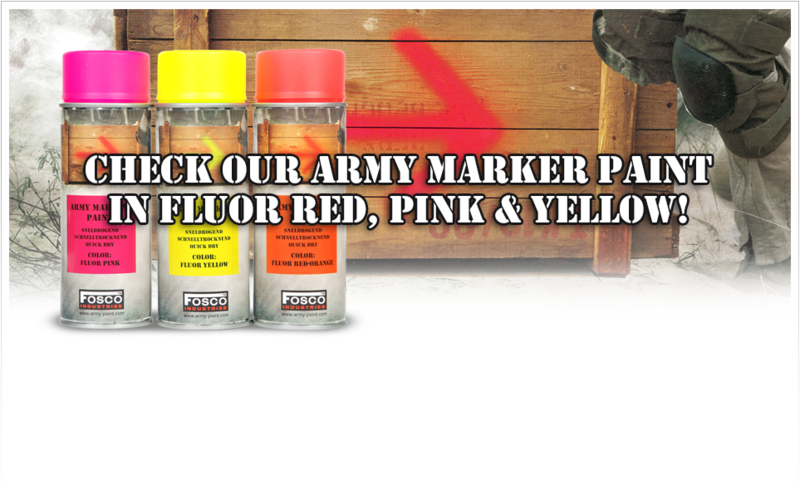 Fosco Army-Paint is an integrated division of Van Os Imports. The oldest segment of our company has been founded over 70 years ago. Throughout the years we have specialized in Army and Outdoor Gear and equipment. 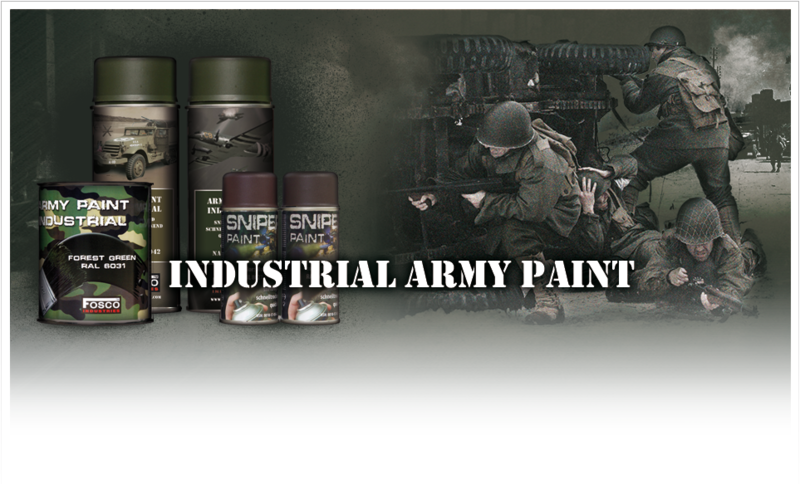 Army-Paint of Fosco Industries has the largest range of paint sprayers and accessories especially designed for Military objects. 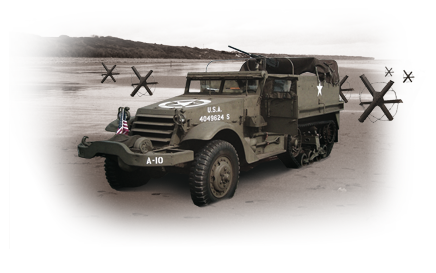 It includes original war paint, Army paint and fluorine paint. 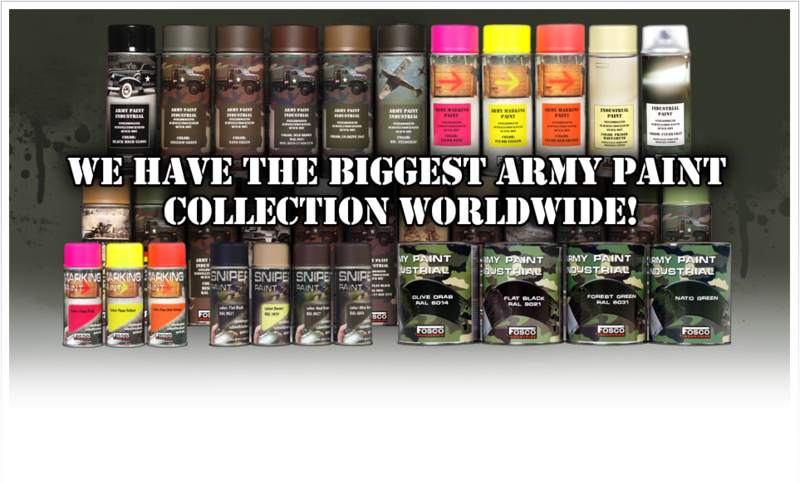 Fosco Army-Paint is top quality paint and it is easy to apply on every subsurface. Use it for painting Airsoft guns, Vehicles, Gear, Textile, Tools & many more objects! Professional paint to color everything!